Let's set aside Flint's future and talk about Flint's past for a minute. 1976, to be exact. 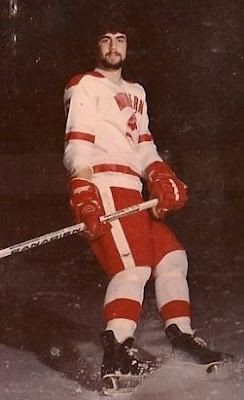 We know Dan Kildee as the country treasurer and head of the Land Bank, but it's time Dan Kildee the Northern High School hockey player got a little recognition. A proud legacy of triumph and defeat. Usually defeat. Third period is your period, boys! There was a guy who used to play for Northern. He had snake-skin Camelton brand skates and a ice rink in his garage over on Lester Ct. I think he was also an artist, and had a girlfriend named Angel. What was his name? Dan Kildee is alright, but he is no Melvin Slagg. ugh... Goodrich's coach. Heavy set guy. Used to eat candy bars and fried chicken behind the bench during games. A legend. What was his name? Goodrich coach -- Norris Simmons? ?